Tipard MKV Video Converter can help you convert MKV files to the formats fitting your portable players. This best MKV Video Converter can easily convert MKV, MPEG, HD MPEG, etc. to AVI, MPG, MP4, HD videos… and extract audio from MKV and other videos to AAC, AC3, AIFF, AMR, AU, MP3, M4A, MP2, OGG, WMA, WAV etc. The strong editing functions, such as splitting, cropping, merging, watermarking… video, accompanied with Tipard MKV Video Converter can further perfect your converted files. Plus, with newly adopted NVIDIA® CUDA™ technology and multi-core CPUs supporting technology, the converting speed is 6X faster now. Tipard MKV Video Converter gives you a hand to get what you want video/audio formats, including HD WMV, HD AVI from MKV video formats and other popular, even from the High Deification videos easily. 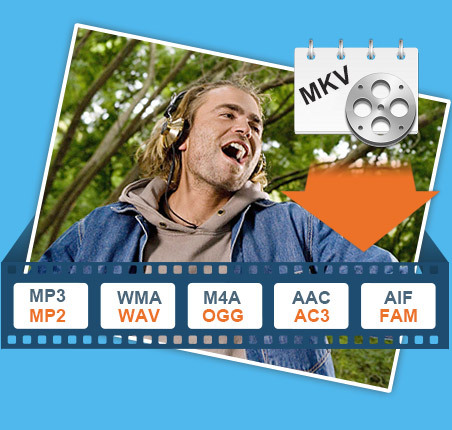 You are allowed to convert MKV and other video format to AAC, AC3, AIFF, AMR, AU, FLAC, MP3, M4A, etc. audio format. 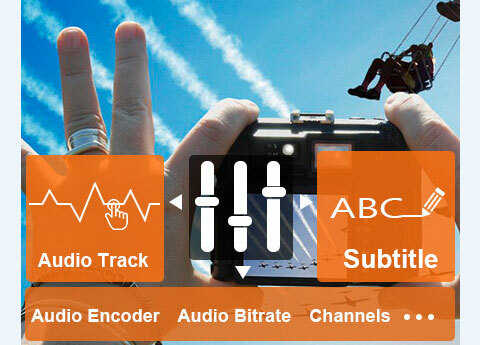 Set the Video Encoder, Resolution, Frame Rate, Video Bitrate; Set the Audio Encoder, Sample Rate, Channels, Audio Bitrate. You also can save all the output settings as your preference, which is saved in the user-defined column automatically. Tipard MKV Video Converter sorts the profile by the devices, General video, General audio, HD videos, etc, then it's easy for you to find what you want one. Get multiple files with the same content at one time by adding multiple profiles to one source simultaneously. Tipard MKV Video Converter allows you to set the video Brightness, Contrast, and Saturation. With MKV Video Converter, you can easily convert an interlaced video to the progressive for better enjoyment. Clip any segment of your video exactly, and join the separated video files into one file. 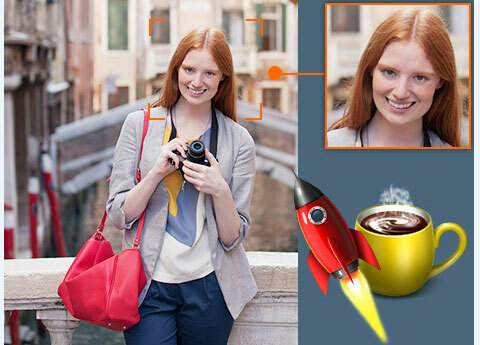 Tipard MKV Video Converter adds the function to watermark your video in text or picture. You also can edit the watermark text, like the font-family, font-style, color, etc. Using Tipard MKV Video Converter, you can preview the original video and the instant output video for your operation at the same time. The intuitive interface simplifies the operation, and only a few clicks can finish the conversion. Newly added iPhone 6s, iPhone 6s plus, iPhone 6, iPhone 6 Plus, iPad Pro, iPad Air 2, iPad mini 3 output profiles. 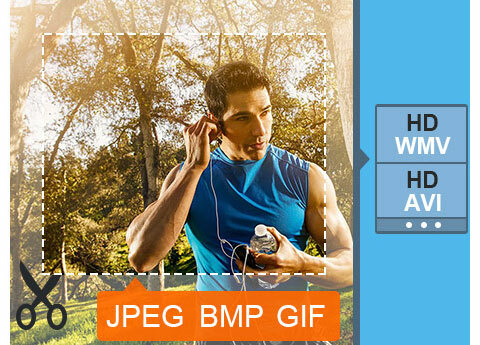 MP4 Video Converter to convert video to MP4 format. AVI Converter to convert other formats videos to AVI. How to Convert MKV to 3GP with MKV to 3GP Converter? How to Convert MKV to FLV with MKV to FLV Converter? How to Convert MKV to HD Video with MKV to HD Video Converter? How to Convert MKV to DPG with MKV to DPG Converter? How to Convert MKV to H.264 with MKV to H.264 Converter? How to Convert MKV to VOB with MKV to VOB Converter?